Carrousel 8 Meyer works great on heifers. 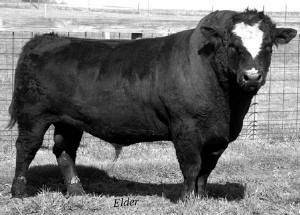 All his progeny have been black or black baldies. Carrousel 8 Meyer sired the Champion Steer at the 2002 WI State Fair & the high selling heifer from Carrousel’s 2003 NWSS Champion Pen.